This feature is part of a series of collaborative content brought to you by 1 Granary. 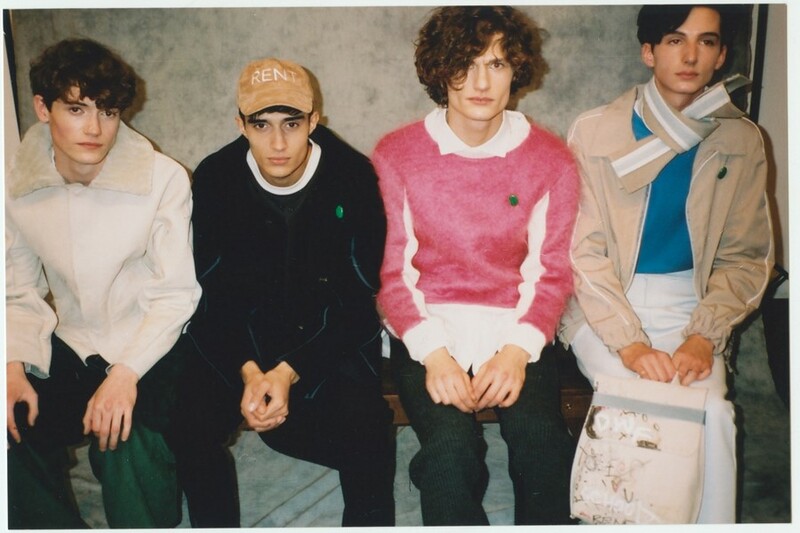 Not many designers get their BA graduate collections transformed into an eight-piece capsule by rebellious retail hotspot Opening Ceremony, but that’s just what happened to CSM alumnus Daniel W. Fletcher after he left school last year. Currently living between London and Paris, where he’s juggling his own label with a job at Louis Vuitton, the Cheshire-born designer’s collections are infused with political and social commentary. For him, fashion is an arena to trojan horse topics like Tory austerity and the destruction of the NHS into people’s consciousnesses, helping to start conversations. ‘Peckham Pony Club’ was the name given to his gentrification-critiquing graduate collection (on the advice of fellow CSM alumnus Tigran Avetisyan, who told him that every collection should be described in just three words). For AW16, debuted at a presentation over New York Fashion Week, those words were ‘English School Boys’. “I’ve had a lot of learning and growing up to do since graduating in the summer and starting my label, so this really got me thinking about youth,” Fletcher says, now in the midst of making his own massive, albeit daunting, strides from the insular world of university into the industry. That Fletcher has enough on his plate is an understatement. His aforementioned position at Louis Vuitton has lead to being taken under the wing of Kim Jones, the artistic director of men’s collections. Also previously a mentee of Lucas Ossendrijver, creative director of Lanvin’s menswear, Fletcher has invaluable access to two of the most influential people within the industry. “One of the things I learned most from both Lucas and Kim was how to put a collection together. 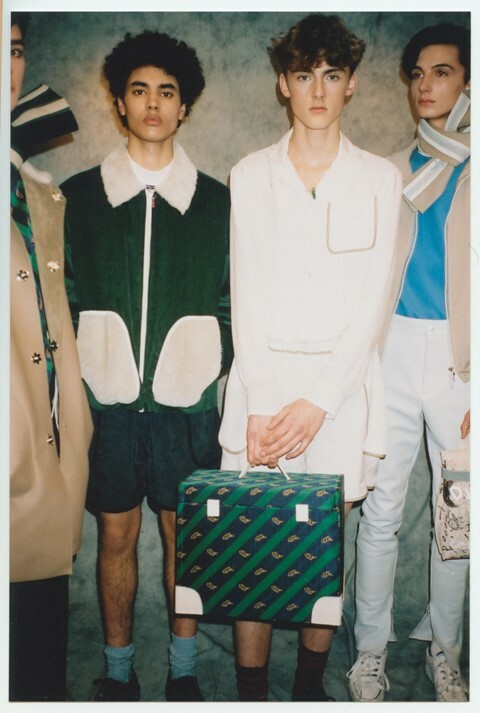 They are both extremely good at creating a solid, cohesive story in their shows.” The benefits of this are seen in the symbiotic relationship between the AW16 story of schoolboy nostalgia and the uniformity of the sport-luxe inspired clothes themselves. As part of the first batch to graduate from the CSM King’s Cross campus at Granary Square, the collection is a cathartic moment for Daniel. It’s a meticulously crafted example of fashion imitating life – not only in the political commentary of the Conservative government’s policies, but also with regards to Daniel’s own evolution from student to professional. Enjoying his deserved successes, this season is an educational swansong. The adolescent charm of the collection became tangible for a brief moment at the presentation, when two people entered the room. “I’ve got to go, mum and dad have just arrived,” Fletcher said, before bounding off to greet them. And who better to witness his farewell to adolescence than his parents?